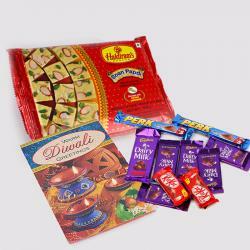 Product Consist : Box of Kaju Katli Sweet (Weight : 500 gms), 16 Pcs Ferrero Rocher chocolate Box along with Diwali Card. 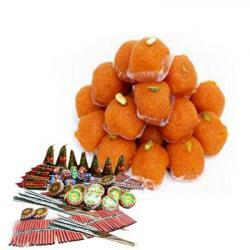 Celebrate Diwali and New Year with this Special Gift Hamper. A perfect selection hamper that is the best to be gifted to anyone on any occasion. Buy an ideal with quality occasion products from our website and make your online shopping experience an enjoyable one as you can get exciting hampers with unique combination of products range as well. 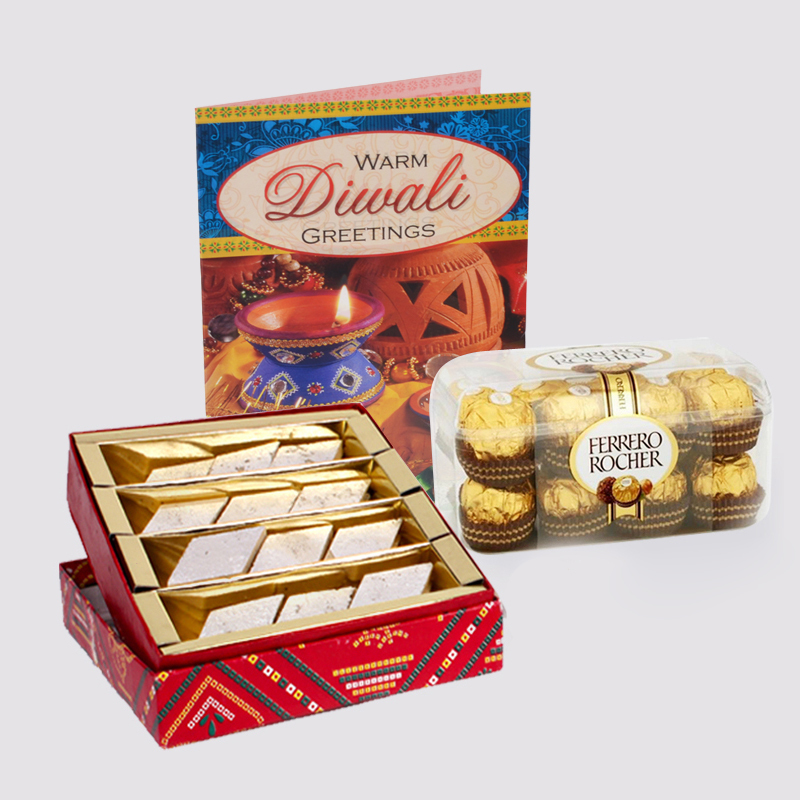 This hamper comprises of Lip smacking delicious Kaju sweets Along with the Imported Rocher chocolate box and beautiful Diwali greeting card in this hamper. Your love for your special ones is measureless, they always like your friend, a guide and a well wisher so send the unlimited blessings by this gifting this Lovely gifts through Giftacrossindia. 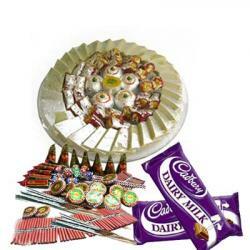 Celebrate the gracious nature of Glorious Diwali with this sweet chocolaty gift hamper. 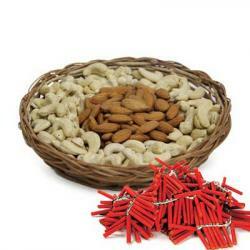 Product includes : Box of Kaju Katli Sweet (Weight : 500 gms), 16 Pcs Ferrero Rocher chocolate Box and Diwali Card.